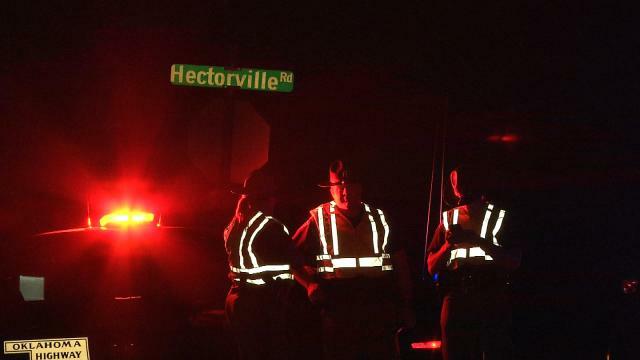 OKMULGEE, Okla. -- An Oklahoma state trooper fatally shot a man who was involved in a fight with two troopers who were trying to rescue him and another man from floodwaters, the Oklahoma Highway Patrol said Saturday. The troopers responded to a report of a stranded vehicle in Okmulgee County, about 20 miles south of Tulsa, about 9:30 p.m. Friday. They found two men trying to remove a truck from a roadway over which water was rising and moving quickly, according to Capt. Paul Timmons. "They were trying to get them to come out of the water. They were worried about them getting swept away," Timmons said. "(The men), for whatever reason, were just really upset about having to leave the vehicle there." Timmons told CBS affiliate KOTV in Tulsa that at least one man attacked a trooper after reaching dry land. "As they were exiting the water, coming towards the troopers, a confrontation occurred," said Timmons. "One of the troopers was actually assaulted, and in defense of himself, he fired." The man died at the scene. It wasn't immediately known how many shots were fired or whether one or both troopers shot. "It's not real clear how it all transpired," according to Timmons. Timmons said a weapon was recovered from one of the suspects, but it wasn't immediately known which man had the weapon or whether shots were fired at the troopers. The second man was arrested for assault and public intoxication, Timmons said. No names have been released. Neither trooper was injured. And neither had been placed on leave as of Saturday afternoon. "That's been the practice of the agency when something like that occurs. I can say it's probably a matter of time," before the troopers are placed on leave, Timmons said.